Lloyds Auctions receive products from many different sources. One of those sources is repossessions from companies that want to sell their inventory and gain back some of the value. Repossessions are items that have had an initial buyer – this buyer has then defaulted on their payments and the item has been repossessed or taken back so that some of the items value can be recovered through resale. Repossessions follow strict legal guidelines and the initial owner is highly aware of any consequences of defaulting on their payments. Multiple default notices are served upon the owner before a repossession takes place, so that there is ample opportunity to prevent items being repossesed. Lloyds only deal with reputable vendors, ensuring that no vehicles are reclaimed illegally. Most repossessed vehicles that are sold at auction are either new or almost new. Repossessions are a great buy. Lloyds often have repossessions in the Plant and Machinery, Vehicle and Marine Auctions every second Monday. They include motorbikes, both off road dirt bikes and on road cruisers. Some bikes have had multiple modifications done and therefore are unique one-off bikes. The company only expects about a third of their retail price back including modifications, therefore essentially all of the mods are free for the buyer. For an owner to gain the best possible price in a short timeframe, auctions are a great way to go. Legal title over the vehicle is maintained by the vendor until sold and auction houses do not normally buy for profit or mark-up. This means that there are no extra expenses incurred by the buyer. The vendor may not have available space to store the inventory or have systems in place to handle the sales process. Lloyds deal with repossessions on bikes, boats and cars and most are in great shape. All details of the vehicle are disclosed in the descriptions online so that potential buyers know exactly what they are bidding on. This is crucial, particularly if repossessions have had modifications. We also make sure that all vehicles meet a good standard to sell. The vehicles are cleaned and detailed if need be. Lloyds aim is to move inventory relatively quickly, so you get a great deal on relatively new equipment without the price tag. To make sure you get the best buy, we recommend that you visit the warehouse in which repossessions are housed and take a look at the phenomenal inventory yourself. We have professionals who are able to answer all of your questions on these unique products and are happy to help with anything else. Used car auctions have viewing times whereby you can get into the vehicle and start the engine. Motorbikes and boats are always on display when available. 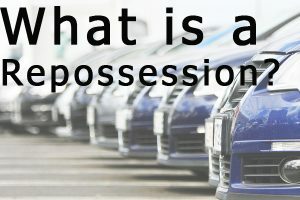 Repo items are worth much more than they will usually sell for, so grab yourself a repossessed vehicle at auction for a mere fraction of its retail price!